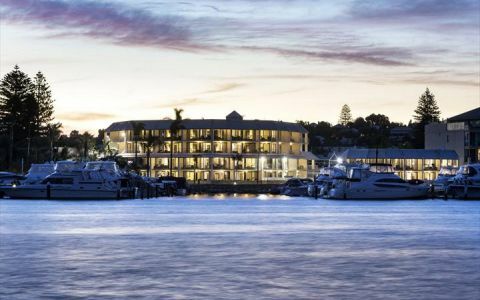 Located in easy reach of Fremantle this well appointed recently renovated apartment with reverse cycle aiconditioning and magnificent ocean and marina views. Situated in a 7 storey high block of apartments with lift in Fremantle this lovely 1brm apartment is available for holiday or short term rental. Central Fremantle location just metres from the cappucino strip within easy access to restauran ts, shops, buses and public transport. Renovated with fabulous harbour and ocean views. 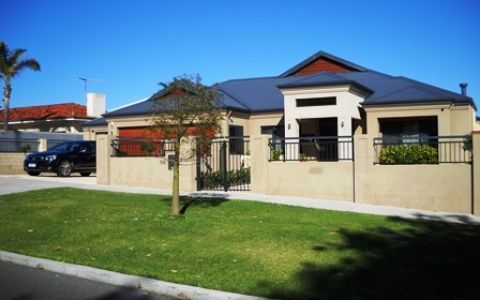 Fully furnished ,HD LCD TV, reverse cycle airconditioning,wireless internet and secure parking. One queen bed - bathroom off main bedroom, secure parking available. Full refund if more than 1 week notice. No refund if less than 2 days notice. Great stay with a beautiful view! Great place at a perfect location. Beautiful balcony view. Definitely should go for that. The apartment is located in a very good location, it's relatively clean and the area pleasantly quiet. Good value for money. Location and views The apartment was neat and clean and had all the kitchen utensils and appliances you need to be self-sufficient. The location and view are absolute winners. So close to so many quality restaurants, the Norfolk Hotel for great food, the Fremantle Markets, the historic prison, Little Creatures Brewery and the passenger terminal for cruise ships and ferries to Rottnest. Greg always communicated quickly. We will, without doubt, stay here again.